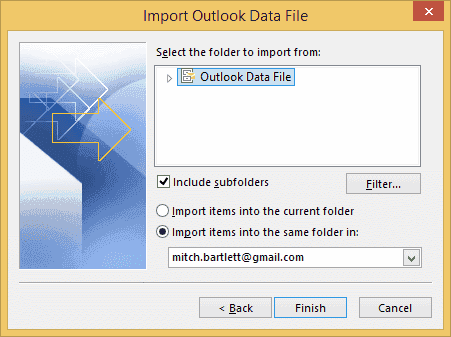 In Microsoft Outlook 2016, you can easily export your email, Calendar, Contacts, Tasks or other data. This comes in handy when you would like to backup your data or move your data to another computer. 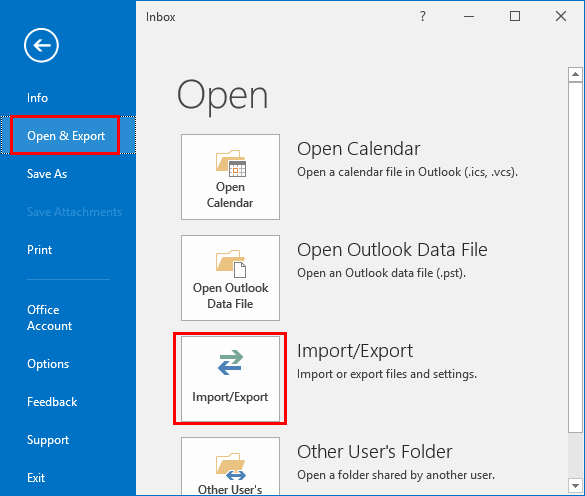 Click “File” > “Open/Export” > “Import/Export“. Select “Export to a file” and click “Next“. 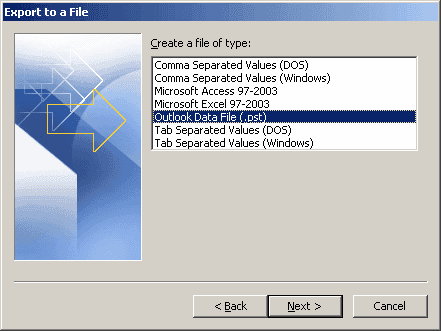 Select “Outlook Data File (.pst)” and click Next. Choose what you would like to backup. 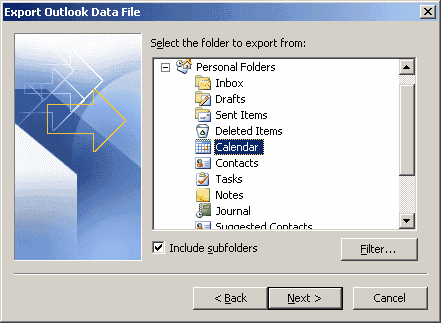 “Calendar“, all “Personal Folders“, “Inbox“, etc. Click “Next” when ready. Provide a location and filename to backup to. You may want to export this file safely on a flash drive or network drive if you will be importing the data on a new computer. Click “Finish“. 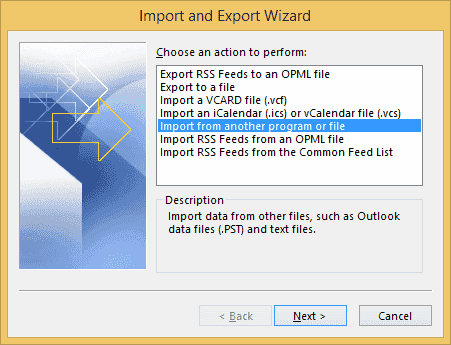 Select “Import from another person or file“, then select “Next“. 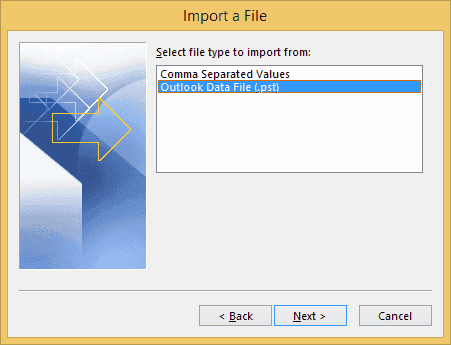 Choose “Outlook Data File (.pst)“, then select “Next“. Browse to the location of the .pst file you would like to import, choose how to handle duplicates in the “Options” section, then select “Next“. Select a folder to import the data to, then select “Finish“. 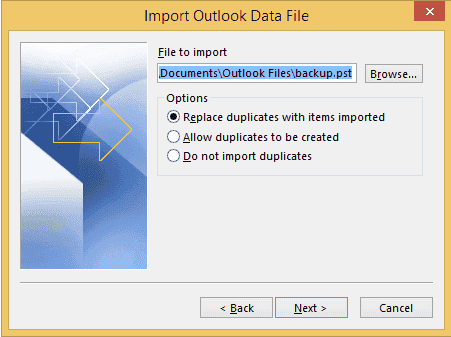 Your data should import to Outlook 2016 successfully. 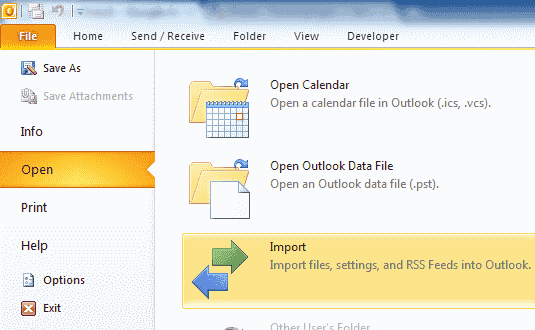 Why don’t I have the option to Export in Outlook? If you’re using Outlook on a work or school computer, the option to export from Outlook may be restricted by the Systems Administrator. You will need to contact your IT department to see if there is a way to enable it. 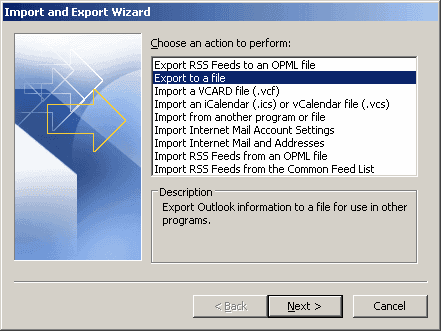 Otherwise, you can use a workaround to export contacts as VCF files so that you may import them one by one. Actually Outlook fails to export all of the email folders and items. I lost data last migration and double checked this time to find most of the folders were empty. I am having to connect to each folder, “click here to view more on exchange” and then select all and copy the actual items to the folder in a PST file. Very disturbing that this utility has been broken. I am experiencing this in Outlook 2016, O356 on Windows 10 Professional. Okay… So i do my import. Now I cannot turn off this feature everytime I start Outlook 2016. How do I disable this feature, it’s very annoying.